Outside of Ohio, Parma is often known as the biggest suburb of Cleveland. But residents know it as its own city with its own culture. Filled with unique businesses and growing families, it’s the heart of Northeast Ohio. As you grow your family or run your business in Parma, ProTech Security can provide you with residential or commercial security systems to keep your home or business secure. 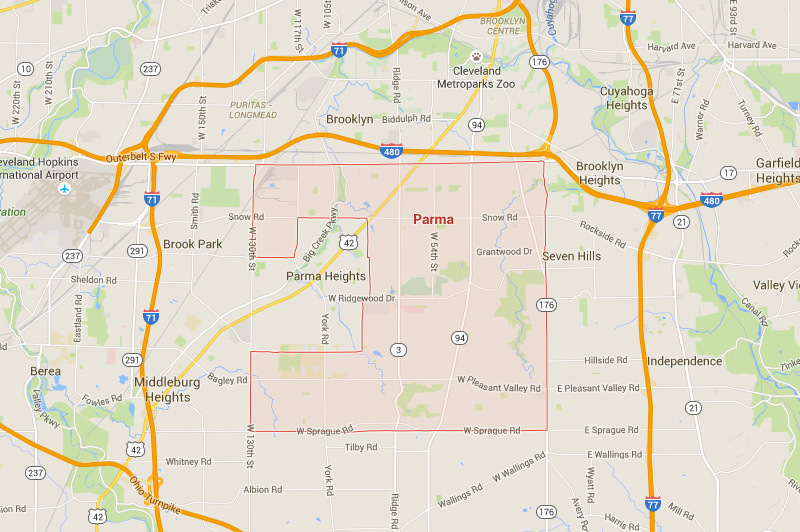 Ready to learn more about your security options in Parma, Ohio? We understand that every case is different, so we don’t just sell you a system and walk away. We give you our advice as your neighbor and create custom solutions that protect your most important assets. Installing a ProTech Security system means installing a system that you can trust. We use products with the most up to date technology so you can be sure you’re getting the most out of your money. We offer commercial security systems that protect the businesses, schools, and government institutions throughout Parma. Give your business the protection it deserves with high quality security solutions that go the extra mile. We know that you’ve worked hard to establish your business, that’s why we work hard to give you excellent protection you can be confident in. We offer residential security systems that protect your loved ones and belongings. Your home and your family are extremely important. Make sure that they’re always guarded with our security products and services that make your home feel more secure. We also offer custom security systems for educational institutions and government facilities throughout Northeast Ohio. If your building isn’t properly protected, you could be exposing yourself to dangers. Don’t take the risk. Security systems in Parma from ProTech Security allow you to rest assured that your building is protected with top of the line equipment. The ProTech Security Advantage is more than 35 years of service and a strong commitment to providing quality, cost-effective protection for homes, businesses, educational institutions, and government facilities. That includes a forward-looking philosophy that centers on the latest in IP (Internet Protocol) technology and IT (Information Technology), which is built with dynamic, non-proprietary systems. We’re proud to call Northeast Ohio home. For more information about how we serve our neighbors in Parma, contact us today.